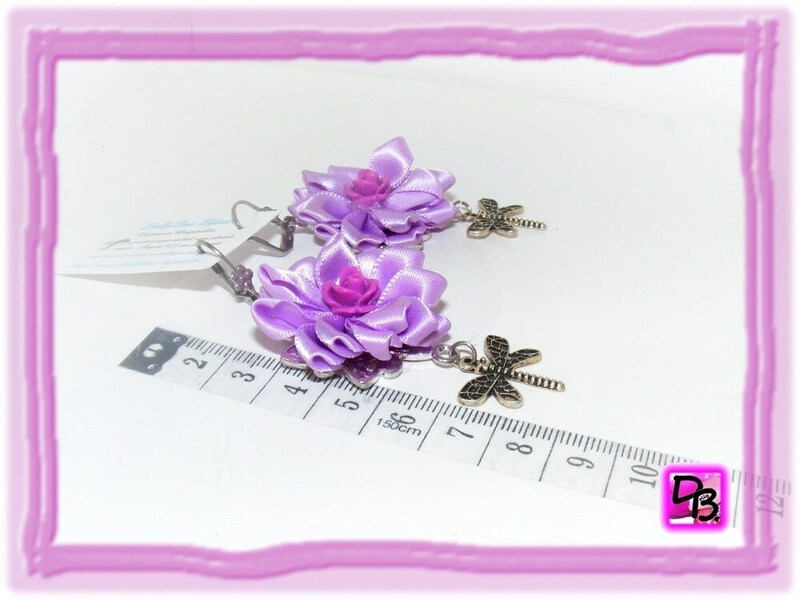 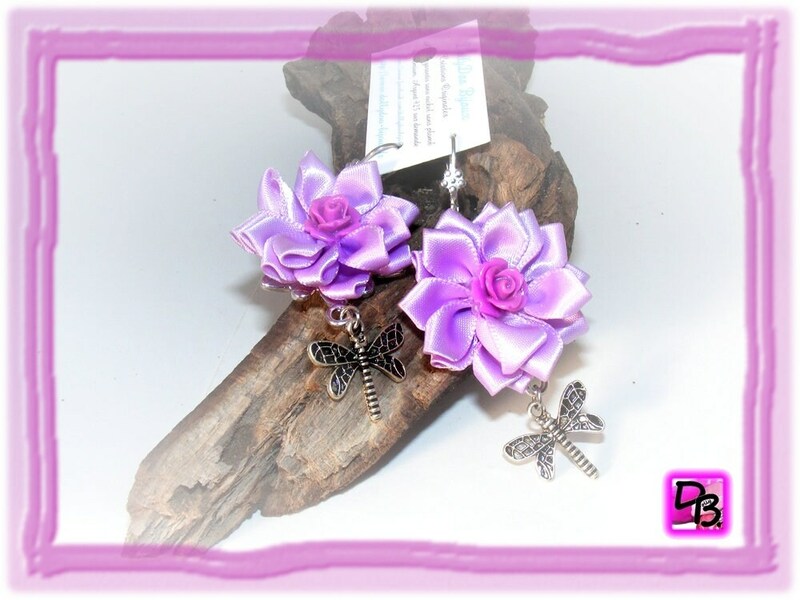 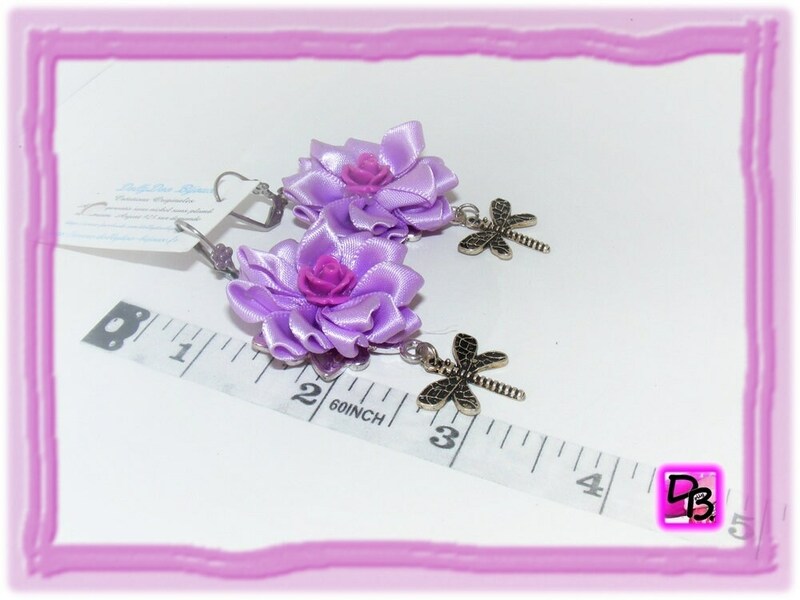 Unique earrings made of beautiful flowers of satin hearts resin mounted on connectors. 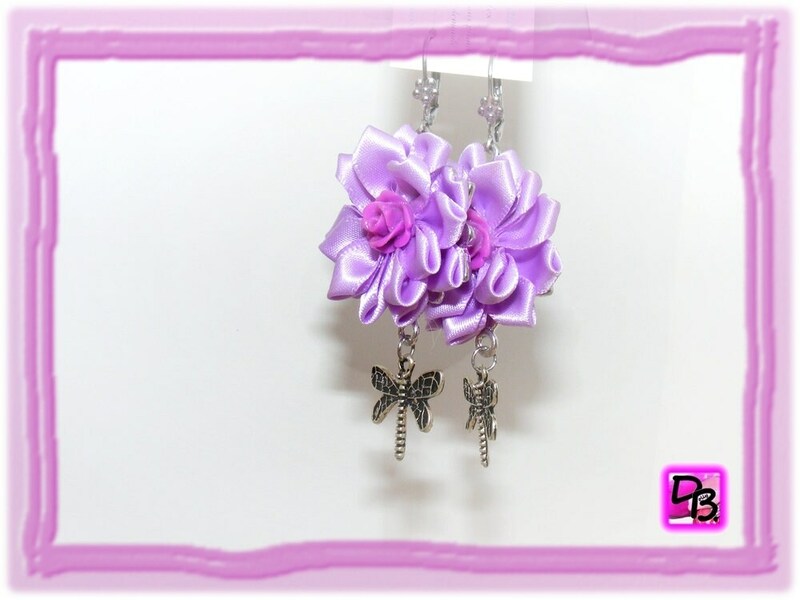 A silver Dragonfly charm dangles gently below. 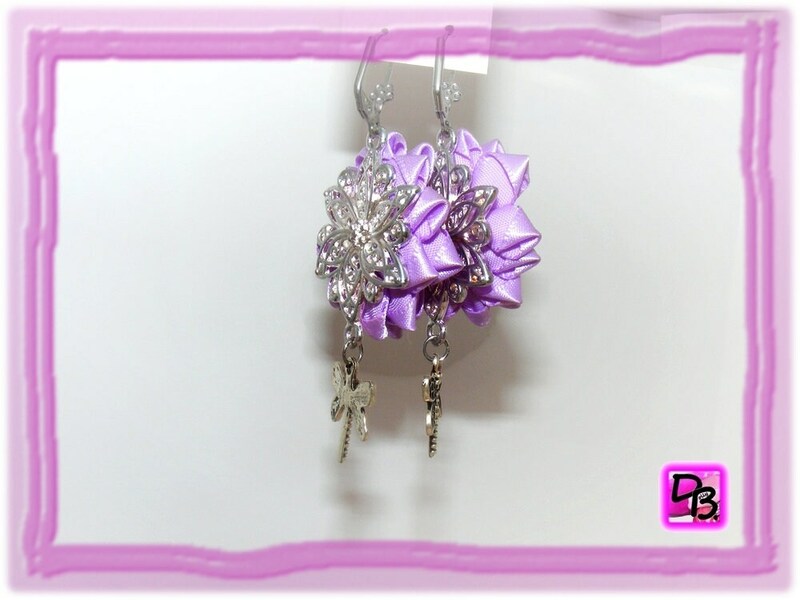 Possibility of mounted on Stud Earrings in 925 sterling silver option.